Close the deal and open up opportunities. If you’re in the market for a new opportunity, we’ve got something you just can’t beat. On our In Home Solutions team, you’ll introduce customers to the latest and greatest products and services. But here’s the best part: when you connect them to what’s next, we’ll connect you to endless ways to grow your career. Ready to seal the deal? What makes a successful Integrated Solutions Consultant? Check out below to see if you have what it takes. See how we’re building the future. This position will work out of these areas, Oakland, Fremont, Hayward, Berkeley, Palo Alto, Mt. view, San Mateo and Redwood City. External Hires “MAY BE ELIGIBLE “ for aNew Hire Sign On Bonus .The New Hire Sign On Bonus will be based on your work/hub location and hiring manager. $2000.00 Sign on Bonus ($1000 after 45 days and $1000 after 6 months,).Must have a start date of April 22nd through May 31st. *** Current employees are NOT eligible for the New Hire Sign On Bonus. Do you enjoy educating customers? Do you have a strong desire to connect people with technology and entertainment? If you answered yes, then open the door to your future! In this role, you will bring an AT&T white glove experience right into the customer’s home. 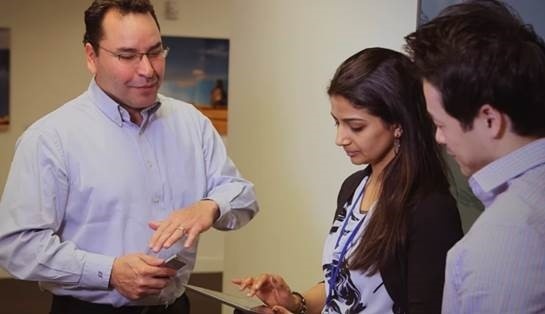 You'll be part of the team that walks our customers through AT&T's cutting-edge products, shows them the benefit of our advanced services, and ultimately closes the deal. We aren't just a phone company anymore and you aren't just any sales person! This could be your chance to join a company that's known for being innovative, successful, and ahead of the curve. Overall Purpose A direct sales position that generates new sales of AT&T products and services to current AT&T residential customers. Sell AT&T products and services in the residential customer’s home in coordination with their DIRECTV installation. Assist residential customers with setting up new devices and applications during the home visit. Achieve sales and service objectives. Track and report activities through established processes and procedures. • One of our latest devices and a service plan. Using our technology, gain first-hand expertise to share with our customers. • Discounts on AT&T products and services as well as the accessories you need. That means you always have access to the coolest gadgets around. Are you ready to open the door to an amazing career with AT&T? Calm, fun environment. You'll always get help when you need it. Constantly being told how awesome and being coached. Always room to move up. Salary, benefits, hours.